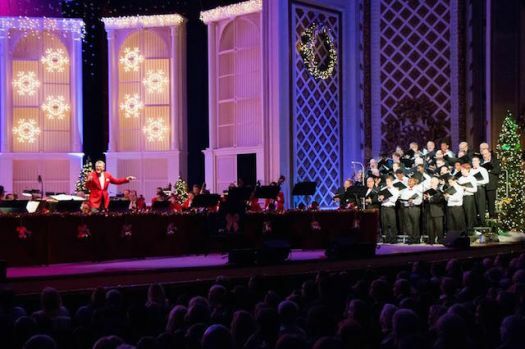 The Cincinnati Pops annual Christmas show sparkled despite the spring like weather outside, with familiar carols, the traditional "!2 Daze of Cincinnati Christmas" and a concluding sing along. 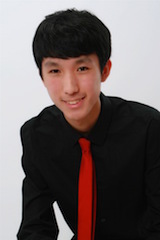 Featured work at the Cincinnati Symphony Orchestra concert Nov. 19 at Music Hall was "Flex" by Sebastian Currier. Currier's "Flex," a CSO commission, is a six-movement concerto for orchestra manifesting lots of instrumental color. Freedom Subject of "One City One Symphony"
Freedom was the theme of the Cincinnati Symphony Orchestra's annual "One City, One Symphony" project Nov. 13 at Music Hall. 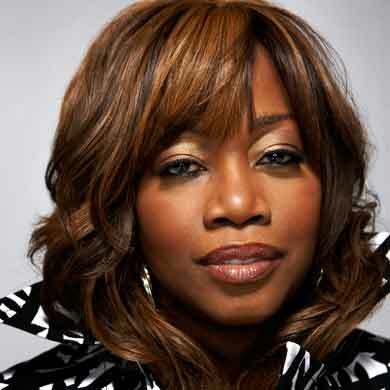 "One City, One Symphony is a community-wide series of listening parties and events leading up to a performance by the CSO, On the program this year were Short Works Based on the Poetry of Dr. Maya Angelou, Beethoven's "Leonore" Overture No. 2 and Dvorak's Symphony No. 9 ("from the New World"). 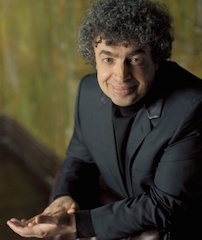 Russian master Semyon Bychkov and young French pianist Bertrand Chamayou brought an exceptional program of Tchaikovsky and Richard Strauss to the Cincinnati Symphony Orchestra Oct. 17 at Music Hall in Cincinnati. Featured were Tchaikovsky's Symphony No. 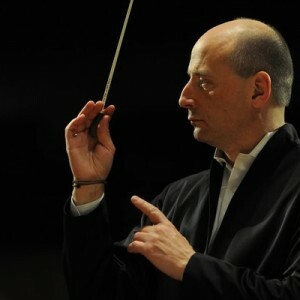 3 ("Polish"), Burleske in D Minor for Piano and Orchestra by Richard Strauss and the tone poem "Francesca da Rimini. There was a huge orchestra on the stage of Music Hall for Saturday night’s performance (October 3) of Schoenberg’s “Pelleas und Melisande” by the Cincinnati Symphony Orchestra, led by music director Louis Langrée. A huge brass section (eight horns, four trumpets and five trombones) plus full strings and winds added up to 102 players. There was another instrument, too, projection, used to cast images onto plastic curtains hanging above the Music Hall stage. 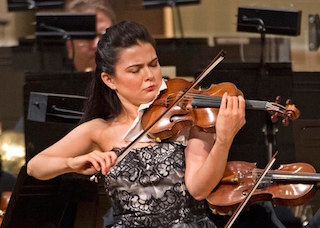 Guest artist for the concert was violinist Karen Gomyo in a brilliant performance of the Sibelius Violin Concerto. 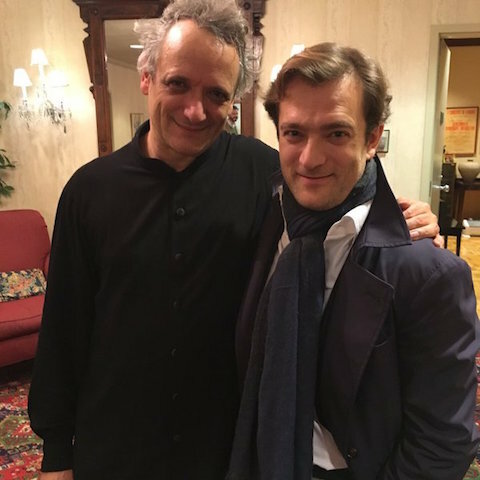 The Cincinnati Symphony Orchestra opened its 2015-2016 season with a fantastic – no less – performance of Hector Berlioz’ “Symphonie fantastique” at Music Hall. It was the finest in this listener’s memory and testimony to the high level the orchestra has reached under music director Louis Langrée. 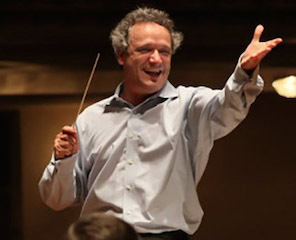 Selections from the American Film Institute's list of 25 Greatest Film Scores was like going to the movies at the Cincinnati Pops Orchestra's opening concert of the season, led by conductor John Morris Russell Sept. 20 at Music Hall. Heard were classics like "Gone With the Wind" (Max Steiner) and "Ben Hur" (Miklos Rosza) as well as the younger generation of composers, like John Barry ("Out of Africa") and Ennio Morricone ("Gabriel's Oboe" from "The Mission"). Number one on the list was John Williams' "Star Wars." 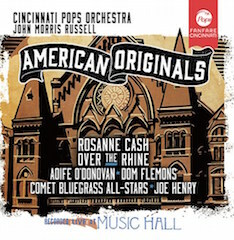 The Cincinnati Pops Orchestra's 94th album, "American Originals," recorded live at Music Hall in January, 2015, comprises songs by Stephen Collins Foster and other American roots composers. Framed by "O! Sussanah" and "Camptown Races," with guest artists Rosanne Cash, Aoife O'Donovan, Dom Flemons and others, it is splendid in all respects. 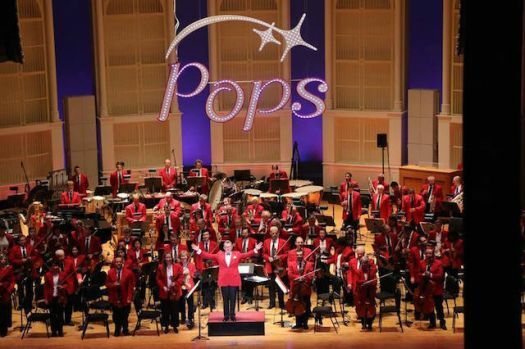 Pops conductor John Morris Russell leads with zest in his fourth album with the Pops. Richard Wagner is not bereft of voices in Cincinnati. 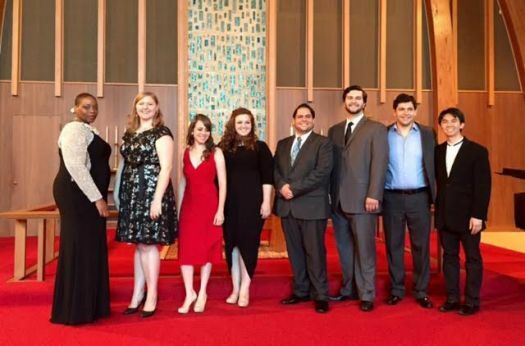 This was happily demonstrated at the Wagner Society of Cincinnati’s singer showcase, “New Voices” Sunday afternoon at Ascension-Holy Trinity Episcopal Church in Wyoming. Soprano Coburn Shines in Chamber Orchestra's "From Russia with Love"
"From Russia with Love,"second concert by the Cincinnati Chamber Orchestra in its Summermusik 2015 festival August 22 in Corbett Theater at the School for Creative and Performing Arts, featured soprano Sarah Coburn in a diverse program including Reinhold Glière’s seldom heard Concerto for Coloratura Soprano. In his latest film, producer David Donnelly of Endeavor Pictures takes a look at the world of classical music. To begin airing in Europe in September, "Maestro" centers on the experience of conductor Paavo Järvi, with appearances by Joshua Bell, Hilary Hahn, Pekka Kuusisto and Lang Lang. 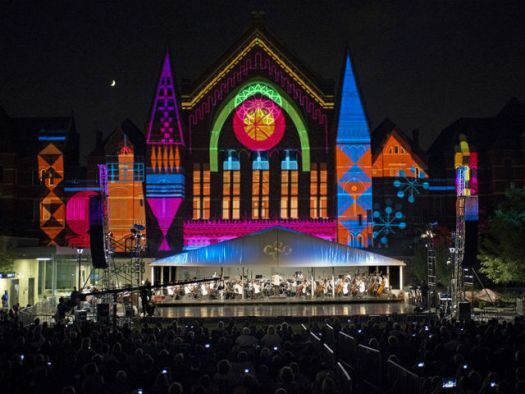 Lumenocity, the Cincinnati Symphony Orchestra's one-of-a-kind sound and light show returned to Washington Park in Cincinnati's Over-the-Rhine neighborhood for the third year in a row August 7. 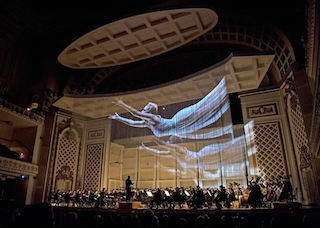 With images projected onto the facade of Music Hall, using high-powered technology, it was once again a great spectacle and a popular success, with thousands crowding in and around Washington Park and more viewing via live webcast. 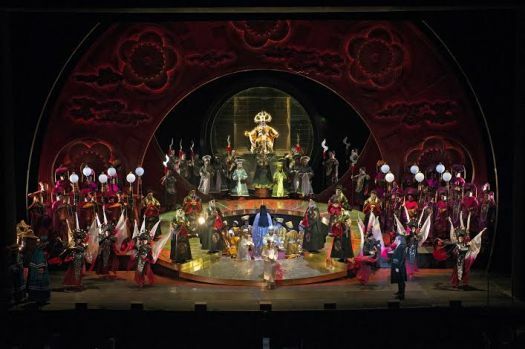 Puccini's "Turandot," a staple of the grand opera literature, received a grand performance July 25 at Music Hall, final work of Cincinnati Opera's 2015 summer festival. 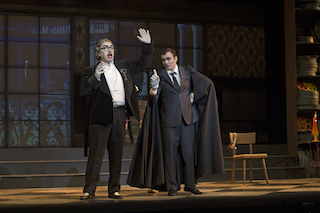 L to R: Don Pasquale (Burak Bilgili) and Dr. Malatesta (Alexy Lavrov) in Cincinnati Opera's "Don Pasquale"